If you are using Windows as your Operating System on your Personal Computer then Solitaire is surely a pre-installed game you will find. One might take a few minutes break in playing this popular single player card game during work hours. Since its development in the mid-18th century, Solitaire has earned lot many names (and fame) worldwide. The most common altered name for Solitaire is “Patience”, courtesy the British people. The French call it “Success” or “reussite”. Solitaire is known as “Kabal” or “Kabala” in Denmark, Norway and Poland. In the modern times Solitaire is solely played as free solitaire online games. 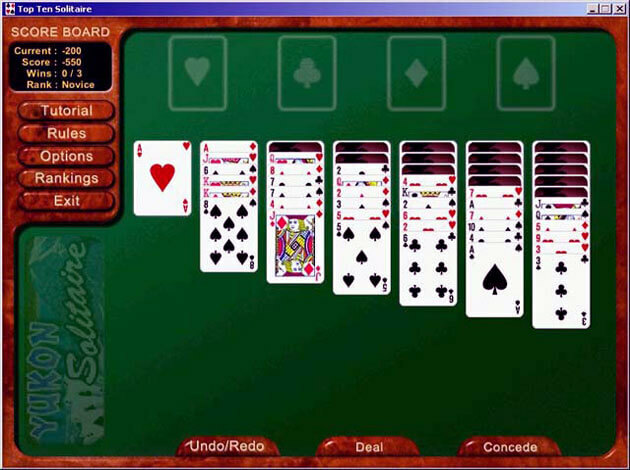 There are several websites offering its visitors to play solitaire online for free. If you have some time to spare then why not spend it with Solitaire? With the rise of computers, online solitaire has taken a different shape and form. People enjoy their lone time with Solitaire. Its popularity lies with the simplicity of the game. The fun portion can be decoded by most players as they begin to get into the game. Solitaire is played in different modes and forms which have been modified over generations. Single-player Solitaire (which was originally termed “Solitaire”) is reportedly played to raise the levels of concentration and skill sets. There are various types of solitaire games played around the world. Personal Computers started to come pre-loaded with free solitaire games in the 1980s. Since then, there has been a revolution in computers being pre-loaded with these games. If we go back in history we will find references to this game of Solitaire. The earliest writing about Solitaire dates back to 1783. During this time the card game found its place in a German book. Napoleon reportedly played Solitaire while he was on exile. Currently there are over 100 types of solitaire games available with the numbers rising each day due to the variations being mad. The general functioning of the game is to assess the puzzle which can be solved differently at different points of time the game is played. The major types of solitaire online include Mahjong solitaire, Pyramid Solitaire, Spider Solitaire, Free Cell Solitaire and Klondike solitaire. 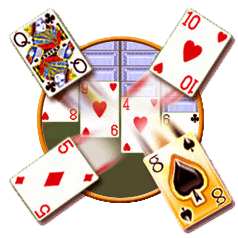 There are several others that have been developed based on minor variations from the original game of Solitaire. Copyright (c) 2013 Solitaire Fun. All rights reserved.